I like being outdoors! I have my many great memories of my grandfather teaching me titbits here and there as we spent time outdoors. I like sitting around a camp fire, bushcraft, fishing, whittling, tracking and camping. My interest in Bushcraft and Survival like that of so many before me and many more to come was started in my teens after reading the SAS Survival Guide by John ‘Lofty’ Wiseman, I would carry the book everywhere with me and read sections at every opportunity. I would also watch every episode of Ray Mears on TV and ended up buying them on DVD so I could watch them back, each one has additional bonus content which contains some very informative clips. Living in a 2nd floor flat in North West London I found it difficult to practice much of the skills until the summer when I would be camping for 3-4 weeks, that was until I became a Scout Leader (I was never a Scout growing up) and moved to a place with a garden. Suddenly I had the space in which I could practice these skills without having to plan a trip to the woods, it gave me the freedom to learn when I wanted and over the years I have increased my skill set mostly in an urban environment. 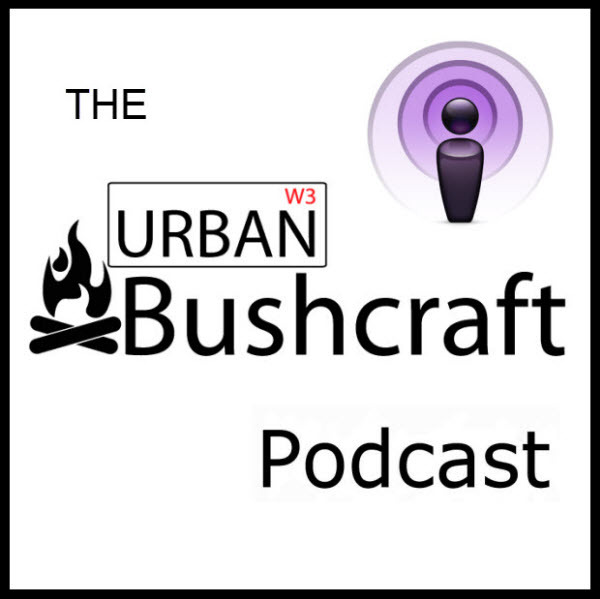 It was then I reasoned that I cannot be the only person in a city with a desire to learn these skills, so with that in mind I started the Urban Bushcraft website as a place to share my experiences with others. 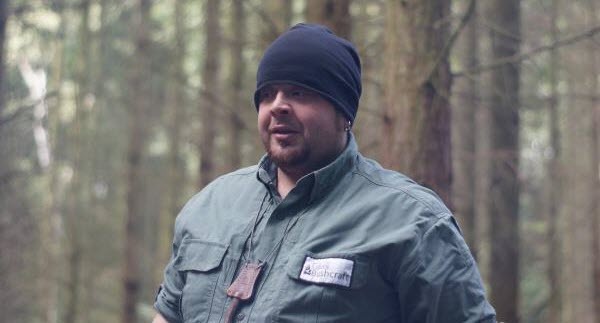 The podcast came into being after a chat with my friend Greg about outdoors/survival/bushcraft podcasts. Greg mentioned he could not find one from the UK and suggested I should do my own podcast! So I thought about starting a podcast for a few months and started to research making a podcast, this led to me and Mark meeting up to record the first show in April 2012. Favorite piece of kit: My Paul Baker Bushcraft Knife. Like Arthur and Excalibur I went round the Wilderness Gathering trying out knives from all the knife makers at the show and when I held this knife it was not like a feeling of this one feels the best here, it felt perfect. Best Bushcraft moment: Getting my first ember on a bow drill, I think it was more luck than ability and is a skill I would like to improve. Favorite fire lighting method: I enjoy using the old flint and steel method with some char cloth. 1. Increase my competency in fire by friction. 2. Refine my wood carving skills and make a kuksa cup. 3. Learn how to prepare small game. 4. Improve my tree identification knowledge. 5. Build my own bushcraft knife from stock steel. 6. Forage and eat more Wild Foods. 7. Work on my knife sharpening ability. 8. Learn more primitive skills. 9. Attend more courses and events. 10. Formalise my skills into qualifications with the Institute of Outdoor Learning. I would like to see what I actually do know and to what level.